Board cable harness manufactured by us is widely appreciated by the clients for being durable and reliable. The cables are bound together by clamps, cable ties, cable lacing, sleeves, electrical tape, conduit, a weave of extruded string or a combination there of. 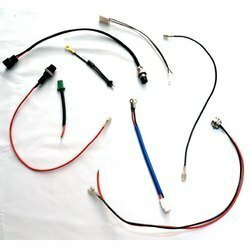 As per the specific needs of the clients, we are engaged in providing a high quality range of Cable Harness. We Cable Harness offer with excellent mechanical and electrical properties. 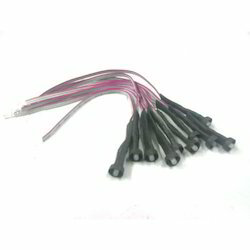 Our range of cable harness finds usage in various wiring applications. The range of cable harness is heat resistant which makes them perfect for using in different situations where temperature fluctuates. The dielectric properties of the polymers used in the cable make it a suitable choice for insulation of cables. Southern Electronis (Bangalore) Pvt Ltd.
Southern Electronics is an ISO 9001-2008 and AS9100C certified company, engaged in Design, Development and Manufacture of original Avionics and Ground Support Equipment, Electronics and other Electro-Mechanical Items used bytheArmed Forces and Indian Defence Industries.